Here is a preliminary review of Kodak Pixpro’s new monopod with tripod stand (previewed here), a monopod designed specifically for the SP360 family of cameras and other 360 cameras. 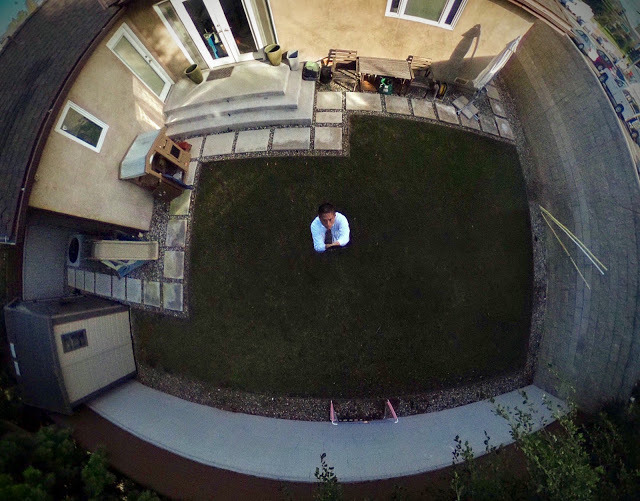 For 360 photos and videos, a monopod is very useful for moving the camera farther away from the shooter, making the shooter less prominent in the shot. A self-standing monopod is even more useful because the shooter can move away from the shot entirely. At the same time, a self-standing monopod is better for 360 photos and videos than a conventional tripod because a conventional tripod’s panhead and legs are too prominent in the shot. 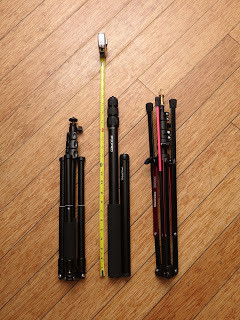 There are several self-standing monopods, but I like to use monopods that with a low base that extends upward, than a monopod with a high base that extends downward. I prefer the upward-extending design because it seems more stable, and the wider part of the monopod is farther away from the camera. 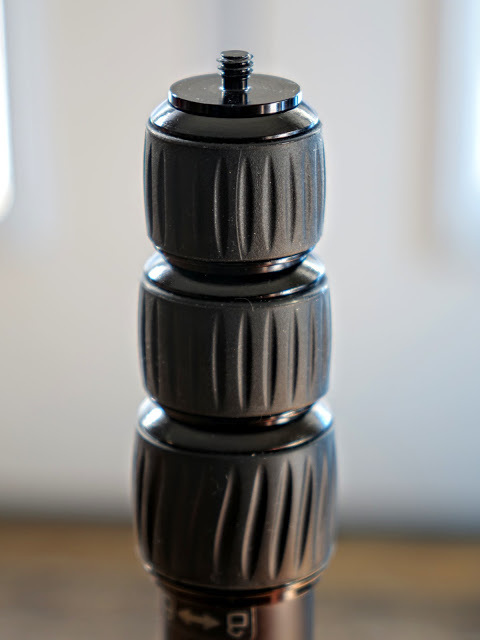 One such self-standing monopod is the Kodak Pixpro monopod, which was designed for 360 cameras. I ordered one direct from Kodak Pixpro and here are my impressions. The monopod is made of aluminum and its standard 1/4-20 tripod attachment for the camera is stationary (it doesn’t have a ballhead). I prefer it this way because it gives you the option of attaching your own ballhead if you need one, and in many cases, for 360 photos and videos you don’t need the camera to be upright. The monopod has four segments (including the foam-covered handle), and the segments are extended with twist locks. The twist locks are easy to loosen and tighten. You don’t have to struggle to overtighten them. When loosened, each segment can be rotated freely, which allows you to face the 360 camera in any direction that you want. 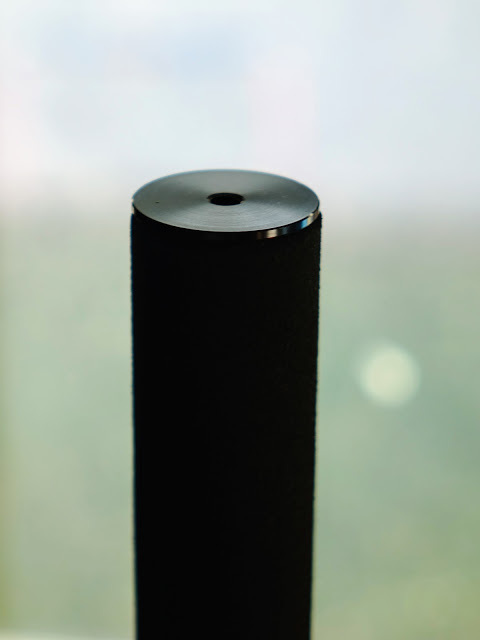 The base of the monopod appears to be made of metal, with a metal 1/4-20 hole for the tripod stand. This is reassuring because I have a couple of monopods and many cheap selfie sticks where the base is a plastic cap that sometimes breaks or gets pulled off by the weight of the camera and monopod when attached to a tripod base. Unlike those monopods, the Kodak monopod’s base is metal, not removable and seems to be welded to the monopod. The tripod connects to the monopod via a standard 1/4-20 tripod attachment. 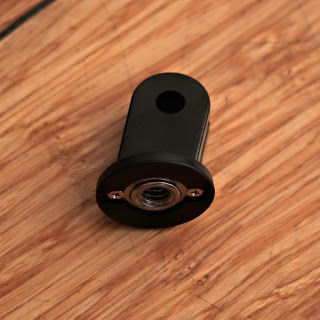 The tripod base is made of steel and I was surprised by its weight. I estimate that it weighs perhaps 3 or 4 pounds by itself. 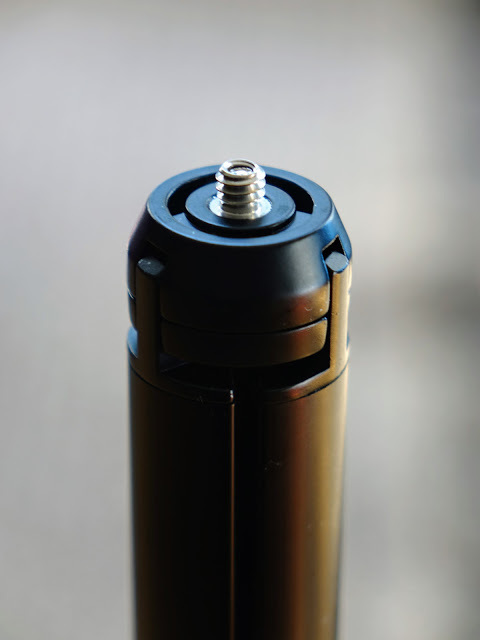 The base’s weight helps lower the monopod’s center of gravity and makes the monopod more stable. I like longer / taller monopods because they can provide unusual perspectives. 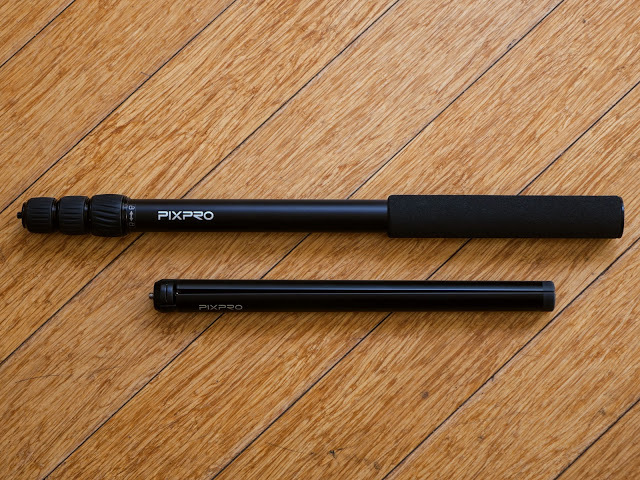 The Kodak Pixpro monopod was taller than I expected and is one of the tallest monopods that I’ve gotten. 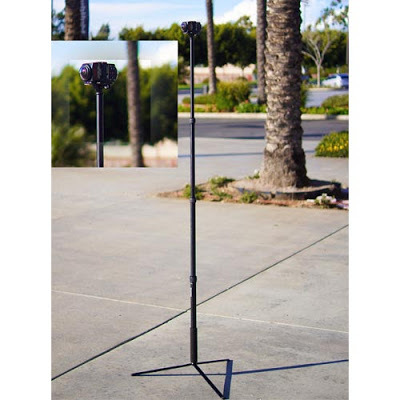 With the base fully spread out (i.e., not contributing to the height), the monopod can still place a 360 camera at around 68 or 69 inches (even taller when using a tall 360 camera such as a Theta), which means it can reach eye level for most people. This makes it very useful for portraits. I compared it to two other stands that I have: the Manfrotto Nanopole (a lightstand with a removable pole), and the Monoshot (a monopod with foldable legs). 3. Extended length with legs as the handle. In the case of the Kodak and the Monoshot, the legs could technically be used as a handle. However, this puts tremendous stress on the legs’ tripod attachment and on the base of the monopod. And remember that the longer the monopod is extended, the greater leverage the camera exerts on the tripod connection. I’ve done it on my Monoshot and on a couple of occasions, the Monoshot’s plastic base broke off. So do this only at your own risk. 5. Height (minimum stability). Again — at your risk. Kodak – 75.5 inches. Base radius: 4 inches (legs positioned at the same angle as the Manfrotto’s minimum angle). Monoshot – 63.5 inches. Base radius: 6 inches. The Kodak Pixpro monopod appears to have very good build quality and I was surprised at its length. In terms of features, I like its camera attachment (which doesn’t have a ballhead) and its twist locks. One drawback is that its legs don’t fold into its body, and therefore must be carried separately adding to its bulk (Actually, I plan to use the Monoshot’s folding legs with the Pixpro.) I also wish it had a wrist strap. However, notwithstanding these relatively minor issues, the Kodak Pixpro monopod is a very useful accessory for 360 photos and videos.The Kodak Pixpro monopod is available directly from Kodak Pixpro ($80) here. Is the Kodak Pixpro Monopod with Tripod Stand in the market? I cant find it. I have a My Sphere camera. Is it good for that camera? I need it specially for real state photography and everything must go in a backpack. I have a Manfrotto MT190XPRO3 tripod, I dont want to have an other big tripod. If its possible, the second tripod I prefer to be inside the backpack for security. I go with my bike and I dont want people notice I have a photography equipment. – I decided to buy the Benko MK10 for invisible videos. – I would like the Monoshot to be a bit taller, so I think the Sunwayfoto ET-01 (7.4″ to 12″) Carbon Fiber Tripod Extension Tube, or the ET-02 (10″ to 16.7″) could extend its height. Their base diameter is 1.5″. Do you think it can be attached to the Monoshot tripod? What about the stability? – I also prefer the Monoshot because I need a table tripod, and Im thinking to use the tripod with the Giottos MH 1004 Mini Ball Head. Could this be possible? – Other advantage with the Sunwayfoto ET-01 or ET-02, is that I could extend the height of the Manfrotto MT190XPRO3 tripod. – I sent a mail to Monoshot but I dint have a feedback. Do you know if the send the Monoshot from China?, or they have a store in USA? I watched a video that the sticker said from China. How long does it took your shippment? Thanks very much again !!!! DEALS: special promo code for Kodak Pixpro Orbit360!